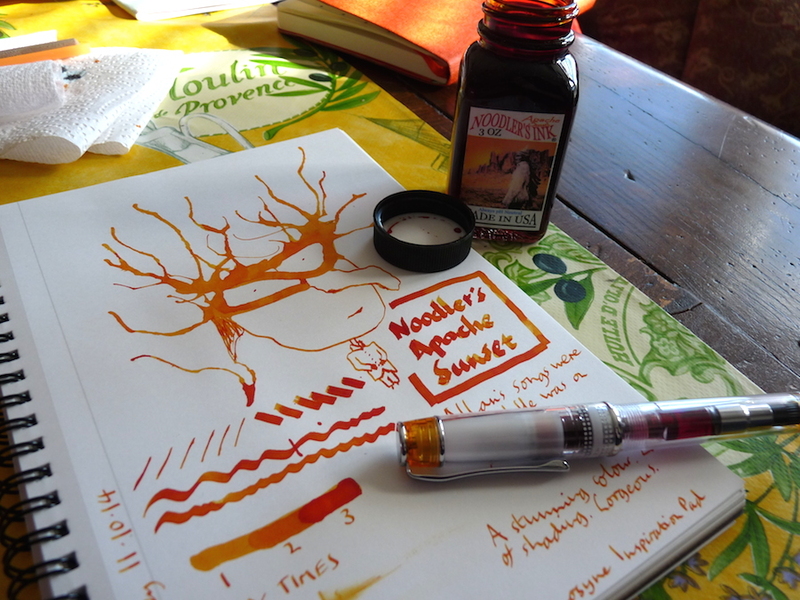 Noodler’s Apache Sunset ink review – Pens! Paper! Pencils! Oh crumbs and crumble how lovely is this? Thank you to Pure Pens for sending me this ink to review and to keep. Pure Pens are Europe’s only supplier of Noodler’s inks. You can buy Lexington Gray direct from Pure Pens here. 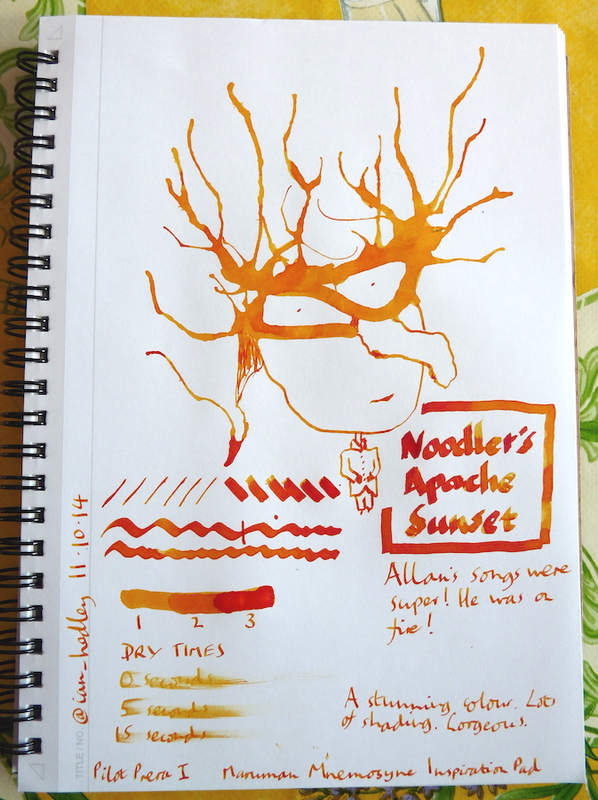 You can find some more reviews of Noodler’s Apache Sunset on Pennaquod. All Allan wanted was to return home, wash all the hair gel away, pop on an old T-shirt and watch Antiques Roadshow on BBC iPlayer . . .
Allan needed a very wet ink to put himself out! Allan regretted using such a flammable hairspray.